Senderos is not one but a bunch of different paths, connected by one main thread, which is the trip itself. It travels across ryhtms and formats: acid sounds, house reminiscent bases, trap, deep voices, autotune and synthesizers that could either come from a minimal track or a cumbia villera. 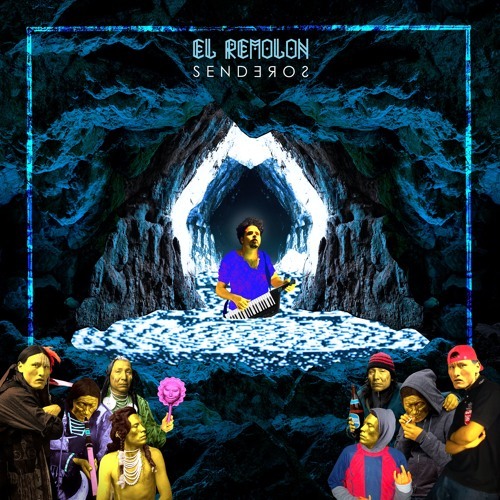 Within this open route, there is one outstanding element, contrasting with El Remolon’s previous works, and that is a clear political message, focused on personal emotions, always toward one center: love. The journey begins with a slow but intense groove and the dark lyrics of Guerreros del Amor, and ends with Calma chicha, a quiet but danceable song. Not everything is nice or funny, nevertheless we have enough reasons to celebrate - and to reflect, too. A hidden sect awakes in Argentina, sings Jin Yerei, one of the guests, in Senderos: love and music as resistance, but also as a departing point. Finally, a 12 minutes neo-acid-turra progressive cumbia, especially composed for the dance play La Pelota, an epic song stating cumbia is still alive, and that could be one of the ultimate whims of this pioneer of the digital cumbia movement.